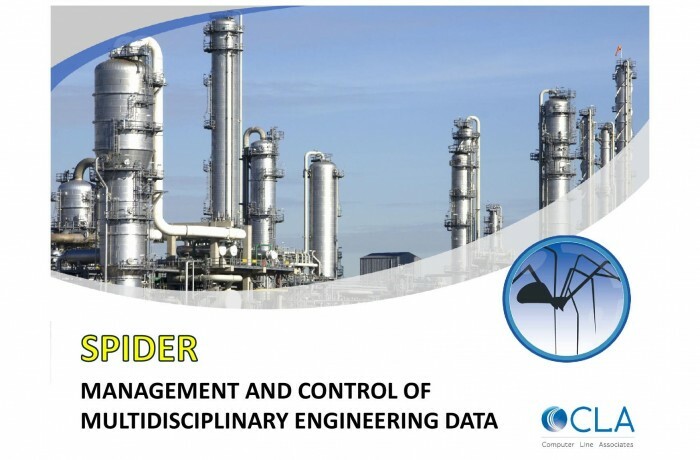 Spider (Engineering Data Warehouse) is an infrastructure project management software designed for companies working in the industrial plant market (EPC Contractors and Owner Operators). One of its key capabilities is allowing multidisciplinary teams of engineers to work together during the development of the engineering activities, defining all the items involved in the project design. Spider allows Users to reset - independently and according to their own job scheme - the "dumb" documents to "smart" documents, also redefining their data model and information flow, still keeping control on them and guaranteeing their integrity and uniqueness. Spider can organize the propagation workflow and the documents structure at project level, guaranteeing flexibility and adaptability to the project requirements. The company's emailing system is integrated, too, and thanks to an internal messaging system, Users are informed about documents issuing processes and about sensitive data updates.